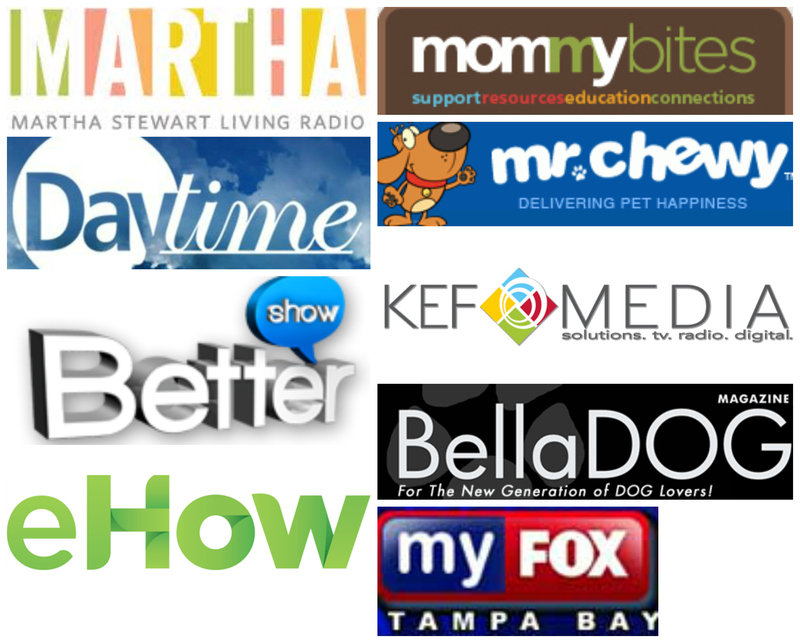 From premium pet food to play dates and yes even doggy yoga, pet parents are not only spending extra money on their dogs and cats but many are taking a holistic approach to pet care. August 30 is National Holistic Pet Day and a good time to step back and take a look at how we are caring for our pets. So what does holistic mean exactly? 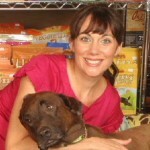 Treating our pets holistically means taking pet care to a higher level. Looking at the big picture and addressing how we care for our pets’ bodies, minds and hearts in the world we share. 1. Functional foods– Nutrition. Feed a natural and holistic diet filled with functional foods which address our pet’s needs. We want to do more than just satisfy an appetite or meet minimum nutritional guidelines. Ingredient examples include: super foods to decrease toxins in the body, phytonutrients, botanicals to strengthen tissue and cleansing, enzymes to assist with digestion or added oils for skin and coat health. 2. Go dog go– Exercise. Every dog needs it. Whether it is a two pound Chihuahua or a 100lb Great Dane every canine and feline need some form of exercise. It will not only help them keep their weight down but also make them less anxious. If you have an anxious dog, try burning some of that nervous energy during a fast paced, focused walk. Or, for our grey muzzled kids with sore joints, swimming is a great alternative. 3. Go east– Eastern medicine. If you haven’t tried it already, you might want to consider a veterinarian who practices both traditionally and is also trained in eastern herbs and acupuncture. It is a different approach to healthcare and one that has had tremendous effects in the lives of so many pets. 4. New experiences– Surfing. 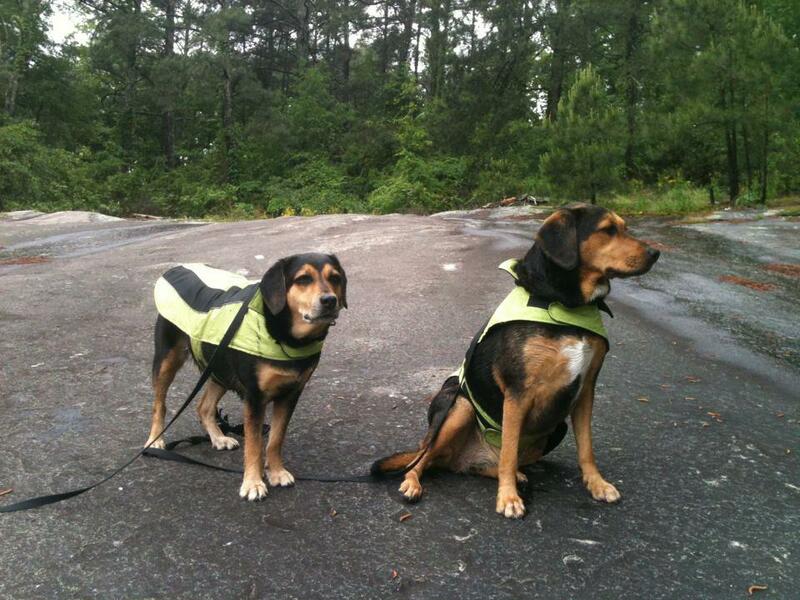 Ok, a bit extreme but the two dogs pictured below not only hike but have mastered the water…on a board. More on that later. Even something as simple as changing your pet’s walk route will broaden their mind. As a pet parent, we can learn the basics of pet massage, Even acupressure if we are inclined. 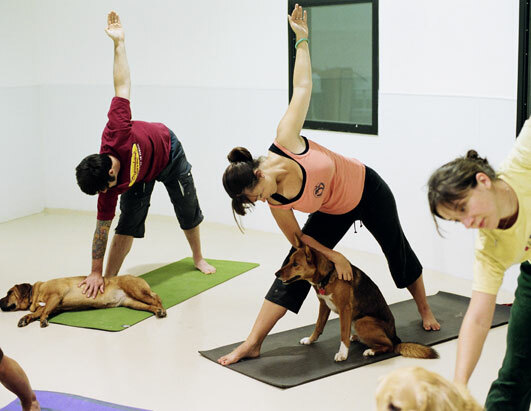 Or, get really inspired and take a Doga class, yes, Yoga with your dog! 5. Go Green- Poop bags. Most of us use a version of a plastic pick up bag on a daily basis. Treating your pet holistically also means the way in which they affect their environment. From biodegradable or compostable pet waste bags to recycled and recyclable toys your pet can have a smaller carbon paw print. Does it mean you have to spend more money? You might but it is not necessary. For example, #4- New experiences, doesn’t take money at all. Just ask Chico. 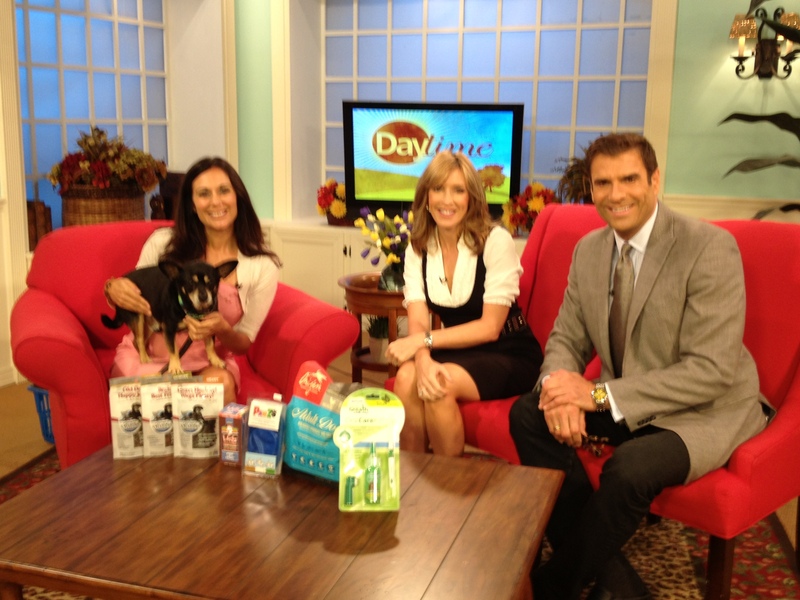 He spent the morning with me at Daytime to talk about this topic and had his first tv appearance. Go Chico Go. He was one happy camper!